Exposure to UV Rays. Dangerous or Healthy? Q: Mr. Pedometer, isn’t it dangerous to be exposed to the summer sun on daytime walks? “Sun exposure’s best-known benefit is vitamin D synthesis, which occurs in the skin in response to the sun’s ultraviolet (UV) rays.” Vitamin D promotes absorption of calcium, which helps keep bones strong. 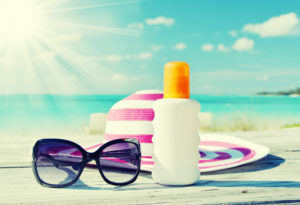 Limit exposure to arms and legs – and then only if you are NOT taking a medication (such as certain diuretics and antidepressants) that increase your risk of sunburn. The East Bay Times includes a UV index on its weather page, indicating at what time of day the highest risk is for sun damage to the skin. Usually, morning walks to avoid the highest risk time.